P!NK has become known for epic Australian tours. Her last tour saw her play almost 50 shows in the country including a record-breaking 18 shows at Melbourne’s Rod Laver Arena. 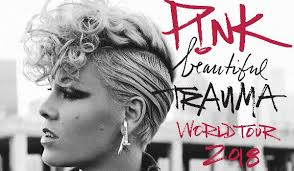 Renowned around the world as one of the most dynamic live performers of her generation, Australia’s favourite international pop icon, P!NK, has announced her Beautiful Trauma World Tour to hit Australia and New Zealand in July – September of 2018. Deposit: $210 when booking to secure your seat.